This answer, it turns out, was never actually filed and was instead merely an inside joke that escaped into the blogosphere. Some double entendres should never be put in print. See title, supra. No, the above quote does not refer to what most non-distaff readers might assume. 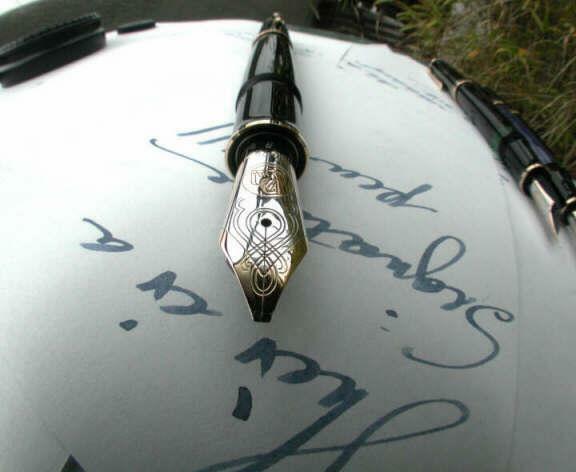 Instead, it actually describes a problem faced by many contemporary legal writers when attempting to sit down and write cogently. I, for one, think this is hogwash because … well, dangit, I lost my train of thought. 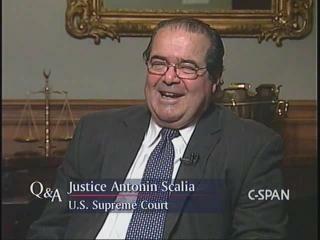 Justice Scalia gave his best interview yet the other day with Brian Lamb on C-SPAN’s series, Q&A. One of the most interesting segments was when Lamb showed Justice Scalia this clip from the Daily Show castigating his 60 Minutes appearance and his vote in Bush v. Gore, 531 U.S. 98 (2000), and then asked for his reaction. What was SCOTUS supposed to do when one of the parties (Bush) alleged the Florida Supreme Court had violated the federal constitution, “turn the case down for not being important enough … hardly.” Last, he also reiterated a point I have made as well that the vote finding the Florida Supreme Court violated the constitution was 7-2, not 5-4. 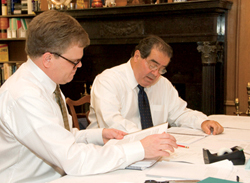 The discussion ranged from what items are in his official SCOTUS portrait (a copy of–what else–The Federalist, and Webster’s Second International Dictionary (he doesn’t care for the Third edition)) to whether he still smokes a pipe (which he said was a very useful tool during his confirmation hearings to distract attention from what he was saying). Here are several more fascinating interviews with both Justice Scalia and Bryan Garner regarding their new book, Making Your Case: The Art of Persuading Judges. 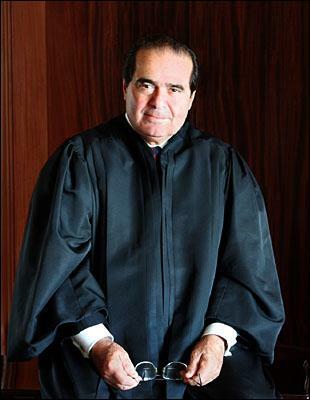 The first three clips come courtesy of NPR‘s own Nina Totenberg, whose interview Justice Scalia and Bryan Garner was featured in three parts on Morning Edition, Day to Day, and All Things Considered. The second interview is with Bryan Garner alone, courtesty of Thomson Reuters’ blog.